The derivation of the word “Viking” is disputed. It may be from Old Norse vik (a bay or creek) or Old English wic (a fortified trade settlement). 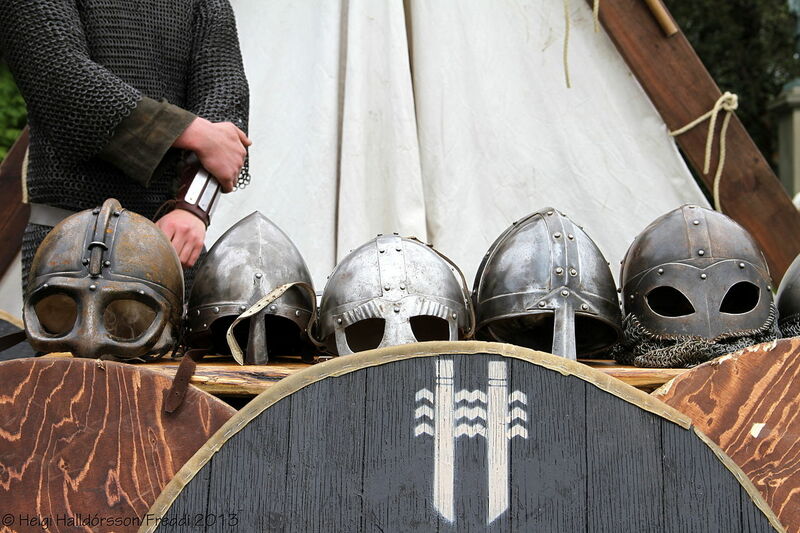 Not every Scandinavian, however, was a professional warrior or a Viking, and not every Viking was a pirate. The motive causes of Viking Age expansion are complex. Land shortage in Scandinavia, improved iron production, and the need for new markets probably all played a part. The impact of the Vikings was less enduring than might have been expected. In general, they had a great capacity for being assimilated into local populations. In some areas of Britain, especially in Cumbria and other locations where settlements were established in previously unpopulated land, concentrations of Norse and Danish place names are the most notable residue of their presence. A century and a half after settling in Normandy, however, their Franco-Viking descendants were strong enough to conquer England (1066) and Sicily (1060-1090). The settlers brought to the British Isles energetic Viking art forms, new farming techniques, mercantile acumen, and a vigorous language; Scandinavian traces are still apparent in the dialects of Scotland and northern England. They introduced new forms of administration and justice, such as the jury system; even the word “law” is from an Old Norse word. Perhaps the most enduring legacy of the Viking Age is to be found in Iceland, which produced the great medieval literature of the sagas.